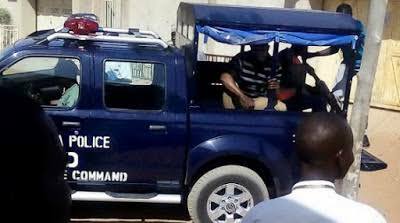 An Iyaganku Chief Magistrates’ Court in Ibadan on Wednesday remanded one Ojo Rasaq at Agodi Prisons over alleged attempt to murder his step-son. Rasaq of Olomi Village in Apete area of Ibadan is facing a count of attempted murder. The Chief Magistrate, Mrs. Jejelola Ogunbona, ordered that the accused be remanded at Agodi Prisons pending the determination of his bail application. Ogunbona directed the counsel to accused to bring a written bail application to convince the court why it should grant the accused bail. The Chief Magistrate adjourned the case until June 14 for a mention. Police Prosecutor, Seargent Funmilayo Ige, said that on April 28 at 11 am the accused attempted to murder his step-son by putting him in a chicken cage while his hands were tied backward. NAN reports that Ige said that to prevent the two-year-old child from leaving the cage, the accused placed a six-inch block at the entrance of the cage. He said that the cage belonged to the accused neighbour who reared chicken.